On the occasion of World Motorcycle Day to be celebrated tomorrow, Bajaj Auto is all set to launch two exclusive riding communities for its Pulsar and Avenger brands with Pulsar Maniacs & The Avenger Gods (TAG). 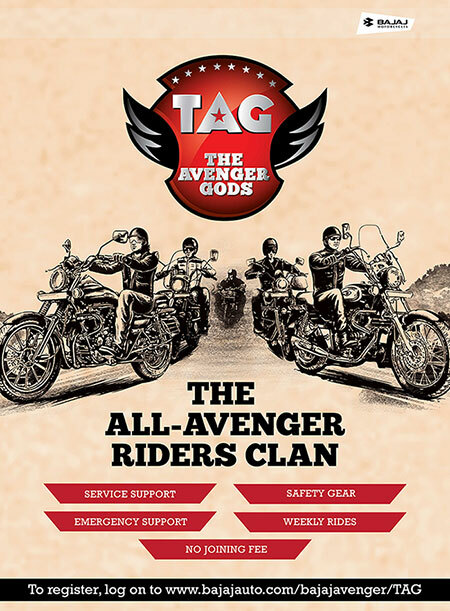 The Pulsar Maniacs will be an exclusive riding community for Pulsar RS 200 fans, while The Avenger Gods (TAG) is a riding club dedicated to the entire range of Avengers. The highlights of both the riding communities will be professionally organized rides, supervised by expert riders from the company and complete with safety gears and service / emergency support. There will be no joining fee to be part of both these communities. The riding communities for the respective brands will cover the entire range of group riding activities from weekly breakfast rides to long distance rides under the patronage of Bajaj Auto. To begin with, the riding activity will commence in the top metros on weekly basis and the footprint will be further expanded in the future. Both the communities will see a series of events in line with the positioning of the respective brands. To begin with, Pulsar Maniacs will start weekly breakfast rides and soon get into overnight & long distance rides for youth seeking thrill and excitement. 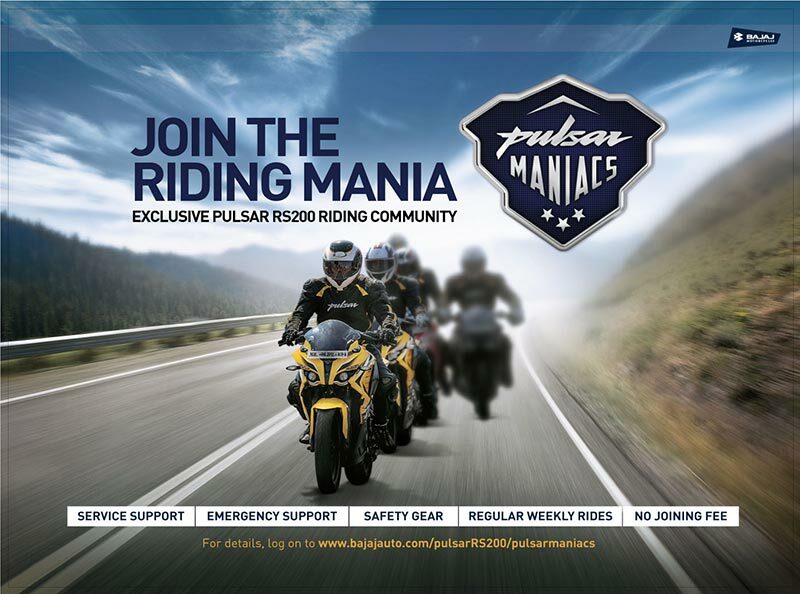 The Pulsar brand already hosts successful events such as Pulsar Mania, a high voltage stunt show and Pulsar Festival of Speed, India’s first speed biking festival. With the explosion in the sports segment, long distance group riding has emerged immensely in the last one or two years. Riders do not want to limit themselves to city commute but also want to explore newer avenues that allow it to test the capability of their machines, such as long distance rides. However there is a clear dearth of organized activities in this space currently. Bajaj Auto Ltd has identified this gap and come up with this engagement activity which will go well with the new range of products launched in the recent past viz. Pulsar RS 200 and the new Avenger range.